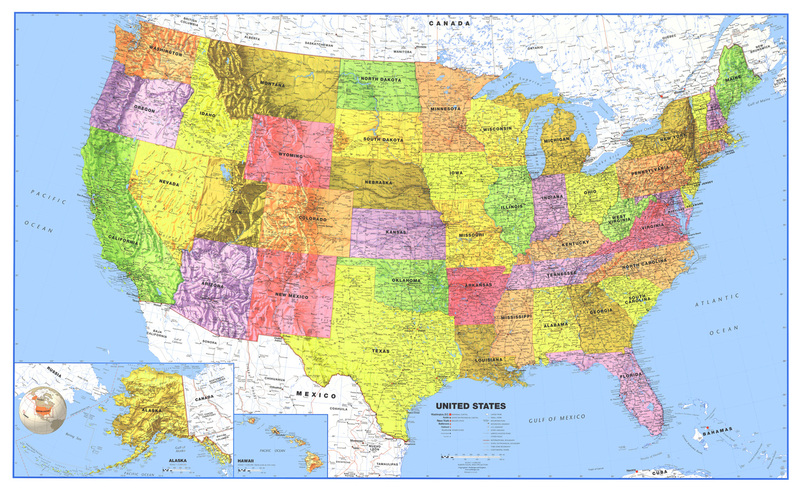 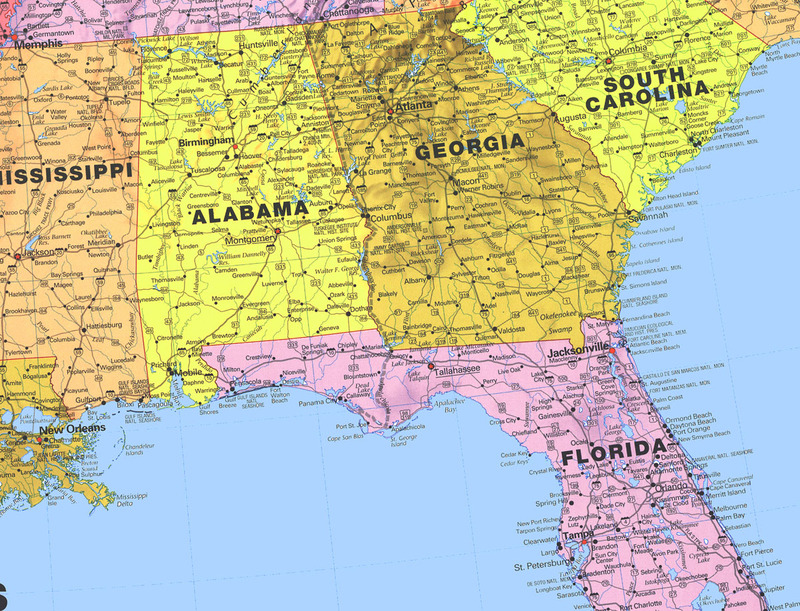 These brand new oversized political World and USA wall maps by Swiftmaps.com feature all new cartography and distinctive color shading for easy state and country recognition. 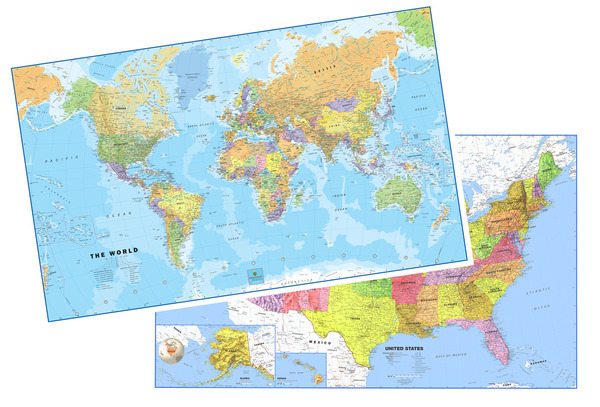 Originally designed for classroom use, it displays equally well in a home or office setting. 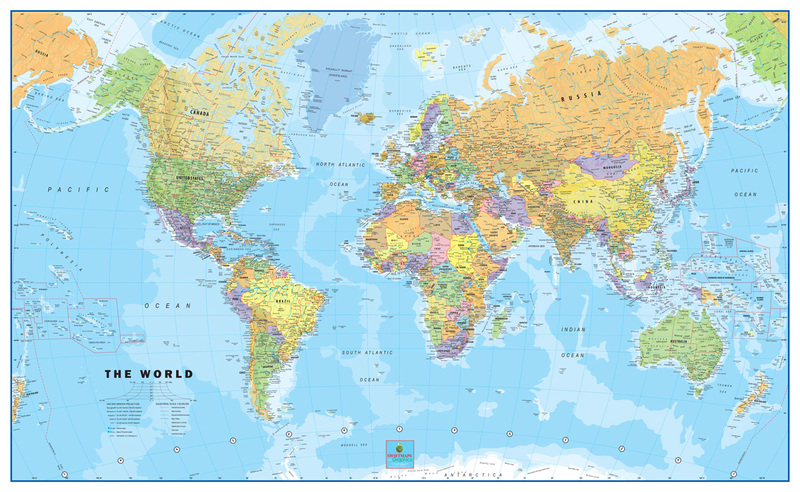 Chart the route of friends, relatives and associates as they traverse the globe. 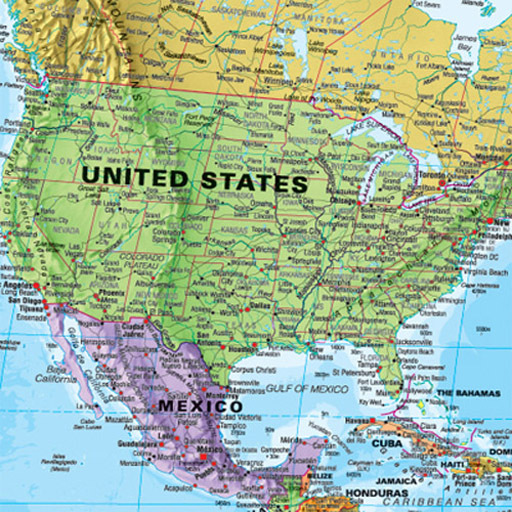 It’s also an eye-catching geography lesson, room enhancer, or sales and marketing presentation waiting to happen. 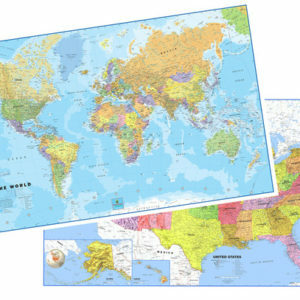 Each map is laminated with a durable 3-mil lamination for years of durability and dry-erase use!